In the past few months, I’ve found myself exclaiming, “I’m going to New Zealand on a Fulbright!” to the grocery clerk, Jiffy Lube employee, random student in the hallway — pretty much anyone who has to interact with me for more than three seconds. But in these interactions, I’ve realized that not everyone knows what a Fulbright award is. There are different types of Fulbright awards, but they are all U.S. government-sponsored international exchange programs that are designed to increase the mutual understanding between the people of the United States and the people of other countries. The award that I applied for is the Fulbright Distinguished Award in Teaching, and they chose 43 teachers to go to 11 countries to do research projects on topics they are passionate about. The history of the award holds a lot of meaning for me. Essentially, after World War II, the U.S. had a surplus of supplies, vehicles, and food. If you think about it, what does one do with all the leftover arms after war? A comparatively easy fix was to sell it to our allies. And the Fulbright award was born from the sale of these leftover arms. What an amazing thing, that we sell our symbols of destruction for an exchange that fosters cross-cultural understanding, making the world a smaller, more peaceful place? In a nutshell: The government will cover expenses for me go to New Zealand, build relationships with teachers and administrators, learn about Maori and Pacifica culture, research about the systemic racial and cultural inequities in New Zealand, find ways in which New Zealand has been successful in eliminating those disparities, and then bring back a figurative airplane load of ideas, contacts, and strategies to solving the racial achievement gap at Oak Park and River Forest High School. Not only is it my ultimate passion, but it’s also something I could never financially accomplish on my own. Pretty much a dream come true. 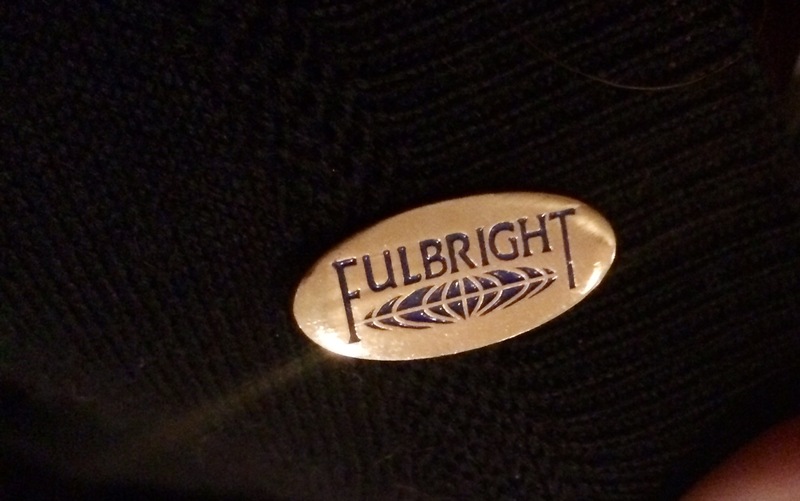 Getting my Fulbright pin. I am so happy! So why’d you want it? I’ve always admired the Fulbright program. I mean, it’s good company! Forty-three have received a Nobel Prize and 78 have received Pulitzers. And I love the idea that the U.S. government still believes in building relationships in order to create peace and understanding. I LOVE teaching. I LOVE coaching track. I LOVE sponsoring the Black Leaders’ Union. I also find it very important to be involved in ways to make long-term institutional change, like leading the Freshmen curriculum team, serving on committees like Strategic Planning, and the Equity committee, and new teacher hiring. In addition, I have a quirky rule that if a student asks more than once that if I will attend an event/game/performance, I will make every effort to do so. 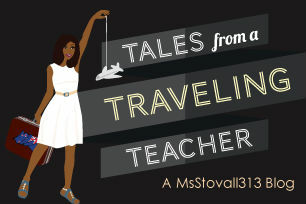 Thus, you can imagine that my WHOLE LIFE is consumed with teaching. I’ve always believed that to be a good teacher, you first must be a good human being. I mean, how can I be a role model for my students if I am not living a healthy, happy, well balanced life? Close up of the Fulbright fin. Excited to be part of the Fulbright family! So this brings me to the Fulbright. I know that my number one passion is teaching for equity and social justice. I believe that teaching English is so important because it in many way is teaching empathy. But I feel trapped inside the black and white separation of American racial disparities. It’s like when you look at something too hard and too closely, you lose sight of the big picture. The Fulbright allows me to focus on just ONE passion of mine and really give it the energy, spirit, and life necessary to really study it closely. By taking away teaching and my other passions, I can be an intellectual and have the space and grace to come up with some (hopefully) great ideas.